Obesity is a growing problem across the Western world, and has brought with it a rise in obesity related illnesses such as diabetes and heart disease. There is growing evidence that high sugar foods are particularly bad for your health – causing blood sugar highs and lows that put undue stress on your body’s requirement to produce insulin. Losing weight is a goal for so many people, but it’s never easy to achieve. 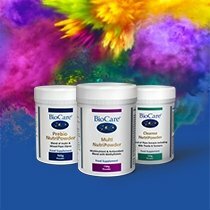 At BioCare, we offer a range of supplements to support your journey. Browse below or read on for more information. Many people in the Western world lead very busy lives, and this can create an over-reliance on sugar – from depending on a sweet afternoon ‘pick me up’, to regularly choosing convenience foods that can contain high levels of hidden sugar. 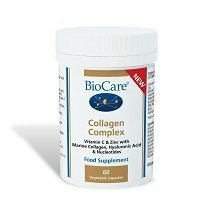 At BioCare, we offer a number of supplements that provide a generous dose of high quality chromium, a powerful mineral that supports the body’s maintenance of normal blood glucose levels. Nutrisorb® Liquid Chromium is a pure, liquid supplement that provides 220mcg of elemental chromium in a purified water base. 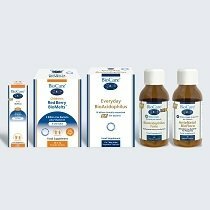 SucroGuard® is a unique blend of vitamins and minerals that mixes chromium with other supportive nutrients including a range of B vitamins plus vitamin C, magnesium and manganese. 300mcg of chromium can also be found in our popular supplement Garcinia Cambogia Plus, as well as manganese, vitamin B5 and vitamin C. A tropical fruit extract, Garcinia Cambogia is a natural source of the active nutrient hydroxycitric acid. Acetyl Carnitine & Alpha Lipoic Acid (ALA) is a high quality supplement in capsule form. It provides 300mg of the amino acid l-carnitine in its most bioavailable form, as well as 200mg of the vegan-friendly essential fatty acid ALA.